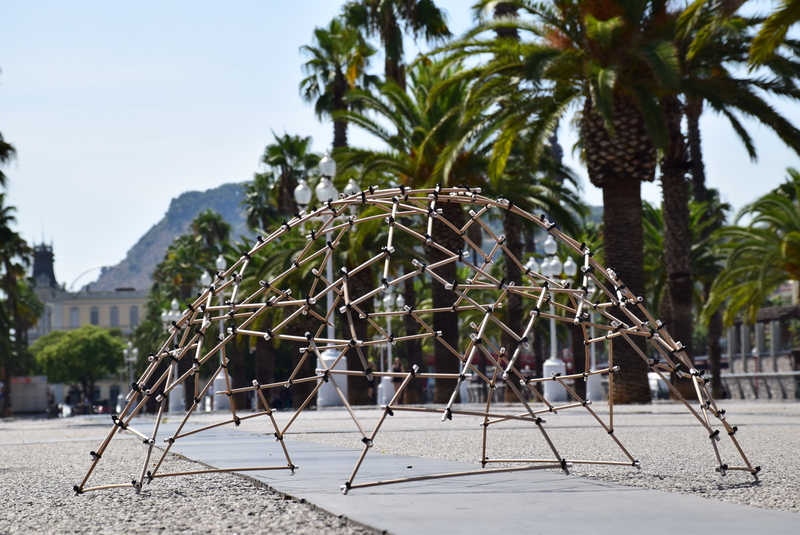 The Reciprocal Dome PentaHex, participated as a project within the IFAC festival. (INTERNATIONAL FESTIVAL OF ART AND CONSTRUCTION) In the Baños de Sierra de Alhamilla, Almeria Spain. 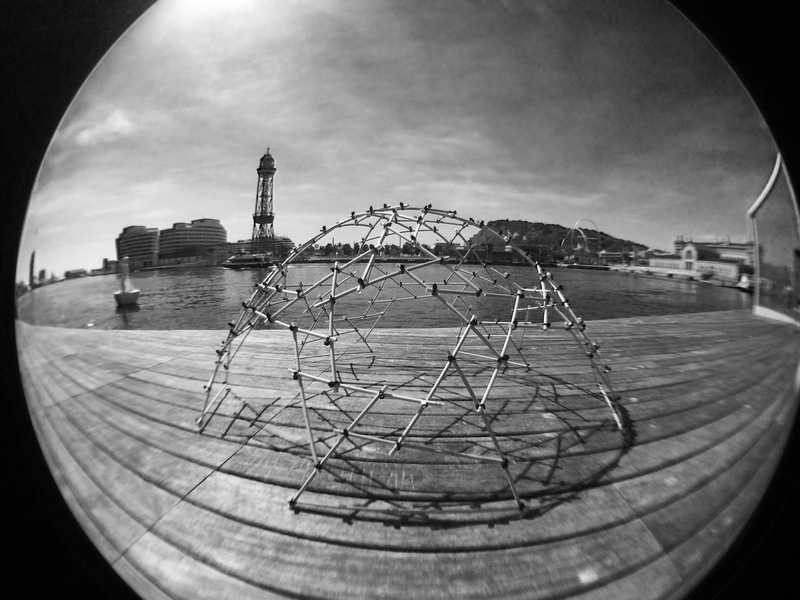 The proposal is to make a workshop on reciprocal frame and its importance as a design strategy in eco-architecture. Students will have the opportunity to meet and learn about the morphology of the reciprocal frame and its many applications, either in design of spaces, objects, or accessories. The workshop is theoretical – I practice. 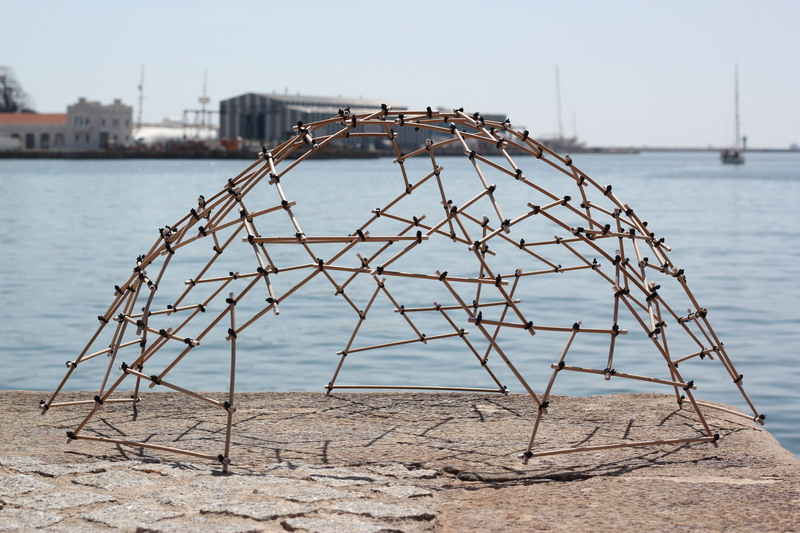 The end result is the self-construction of a reciprocal dome with a unique design. The construction will be collective and modules. This means that is intended to be built by groups. 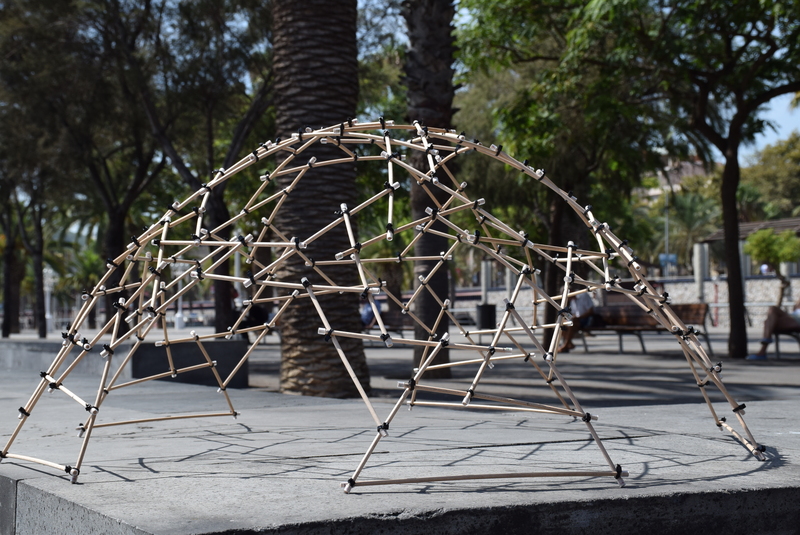 At the end the design of the structure will be proposed by the workshop participants, with local materials as plant material, palm leaves. The constructive system proposed by reciprocal structures. They are self-supporting structures formed by 3 or more discontinuous bars that share collaborative efforts. And they manage to cover big lights. 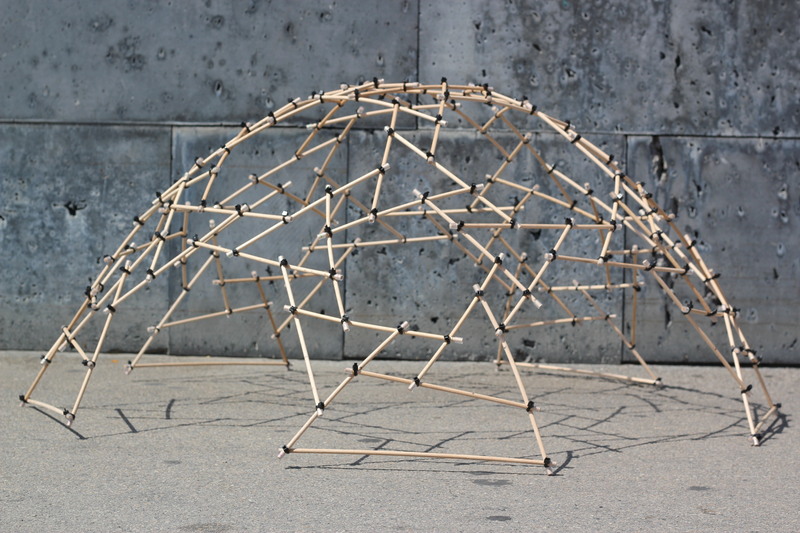 The PentaHex Domo is a proposal with an innovative parametric design and minimizing the carbon footprint for an integrated solution to livable emergency systems. The idea is to be able to build on-site emergency habitable modules manually and quickly with only wood and rope. 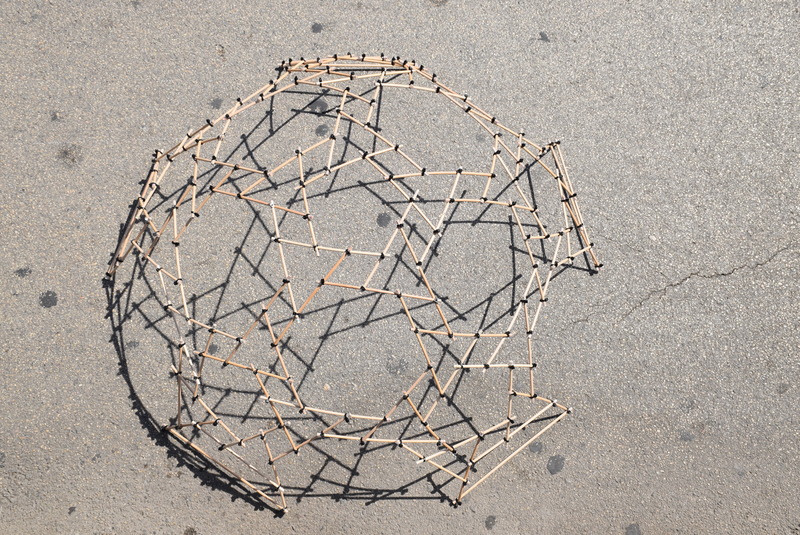 The cover proposal with the vegetal material with internal and external layer for the thermal comfort. And Everybody who participated in the workshop.